SAN FRANCISCO — Maria Poblet, who leads an organization that assists Latino families facing eviction in San Francisco, says she appreciates the philanthropy that the city’s technology companies do in far-flung places to address global poverty and the environment. But what she really wants to see them do is pay more taxes to help with homelessness and lower-cost housing in San Francisco. 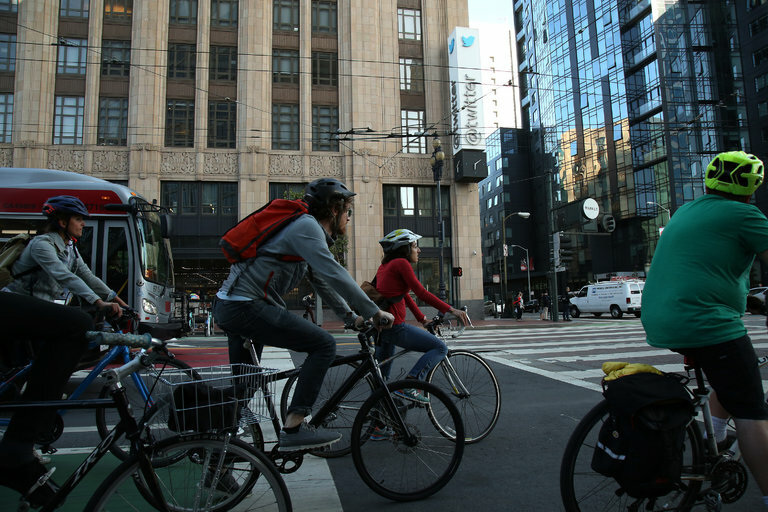 Outside Twitter’s headquarters in San Francisco this month during an evening commute. Twitter has declined to comment on the proposal to add a payroll tax just for technology companies. Credit Jim Wilson/The New York Times . Ms. Poblet is part of a group of activists behind an initiative by three city legislators to impose a payroll tax that would apply only to technology companies, which have been the engine of a booming economy that now appears to be slowing. Eric Mar, a member of the city’s Board of Supervisors, announced the proposal last week for a 1.5 percent payroll tax that would serve as a form of indemnification for what he described as the downside of the technology boom. The proposal for what has become known as the tech tax comes as officials struggle to fill growing gaps in the city budget. Money from the tech tax would go toward paying for programs for the homeless and the housing “affordability crisis,” Mr. Mar said. Behind the proposal is more than just an effort to raise revenue. The tech tax, the passage of which is considered a long shot, is the latest manifestation of resentment here against the proliferation of high-paid tech workers and the pressures that rising prices have put on residents. Tensions have flared over the notion that tech workers live in a parallel society, in which they are whisked in private buses to work, socialize in their own circles and do not participate in San Francisco’s traditions of social collaboration. 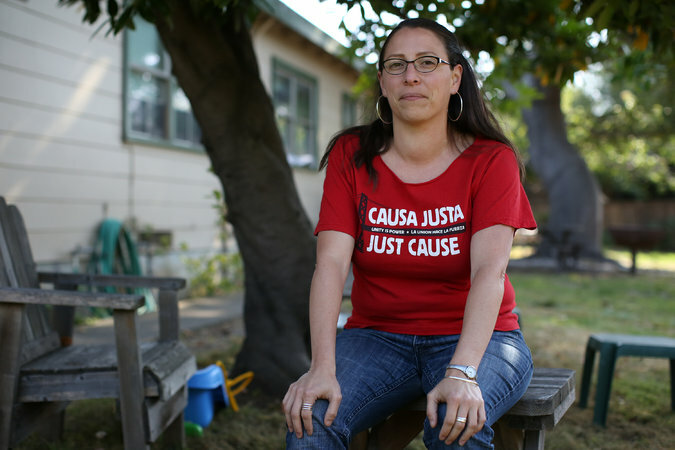 “Billions of dollars of venture capital have poured into the city and pushed our people out,” said Ms. Poblet, the executive director of Causa Justa/Just Cause, a nonprofit organization that, among other activities, helps San Francisco residents threatened with eviction. She and other supporters of the tax say the proposal sends a message to tech companies that they should be paying more to mitigate the repercussions of the boom in their sector, especially the precipitous rise in housing costs brought on partly by the influx of their employees, whose average salary is around $150,000 to $200,000, according to Ted Egan, the chief economist of San Francisco. Technology companies have remained silent on the matter. A spokeswoman for Twitter, Natalie Miyake, said the company had decided not to comment on the tax. San Francisco’s budget, which, at $9.6 billion, is larger than a number of state budgets, is around 7 percent higher than last year’s, Mr. Egan said. The office of Mayor Edwin M. Lee, which faced an unusually large deficit projection of $250 million over the next two years, is counting on voters to pass a sales tax increase in November to help pay for transit and homelessness projects and to help balance the budget, which is required by law. Making ends meet, however, will be a struggle. One significant source of revenue, real estate transfer taxes, is expected to fall sharply. The budget projects $235 million in property transfer taxes, down 14 percent from last year, a decline that Benjamin Rosenfield, the city controller, attributed to a drop in large commercial real estate transactions. From 13 percent growth in hiring last year, tech companies are increasing staff size at a rate of just under 3 percent this year, Mr. Egan said. The median price of a home in San Francisco fell 13.3 percent from April to May, to a little over $1.1 million, according to the research firm CoreLogic. On an annual basis, prices have declined 2 percent. “It’s definitely a slowdown,” Mr. Egan said. The tech tax, which could raise up to $140 million annually, according to Mr. Mar’s office, is often described by its supporters as a way to recoup tax breaks accorded to Twitter and other companies that agreed five years ago to move to a gritty neighborhood known as Mid-Market as part of a municipal development plan. Twitter received the tax breaks after threatening to leave the city, creating resentment among tech companies in other parts of the city that did not get such incentives. But it seems unlikely that the tax will be enacted. The proposal, which would need the support of six of the 11 members of the Board of Supervisors to be placed on the ballot in November, has the public support of just three. Even if the board approves the measure, it would require the approval of two-thirds of voters in November to take effect. Skeptics say it is difficult to define what a tech company is, and they criticize the measure for singling out companies based in the city while the giants of Silicon Valley are not affected — even though thousands of their employees live in the city and have contributed to the income inequality and high housing costs. Tensions over tax revenue are likely to increase if the slowdown in the technology sector persists or worsens. San Francisco’s economy is still growing, but at a significantly slower pace than at the height of the boom, which is now in its sixth year. Melissa Whitehouse, the acting budget director, cautions that the city must plan for higher-than-expected retirement contributions for 30,800 employees and other long-term costs. The city’s five-year budget plan predicts steadily increasing shortfalls. If the sales tax increase is not approved by voters, the city will be forced to make cuts. “I talked to the mayor a lot about how we didn’t have as much money this year,” Ms. Whitehouse said.